Supported by the Department of Energy. The numerical solution of partial differential equations (PDE) is a fundamental task in science and engineering. The goal of the workshop is to bring together a spectrum of scientists at the forefront of the research in the numerical solution of PDEs to discuss compatible spatial discretizations. We define compatible spatial discretizations as those that inherit or mimic fundamental properties of the PDE such as topology, conservation, symmetries, and positivity structures and maximum principles. A wide variety of discretization methods applied across a wide range of scientific and engineering applications have been designed to or found to inherit or mimic instrinsic spatial structure and reproduce fundamental properties of the solution of the continuous PDE model at the finite dimensional level. 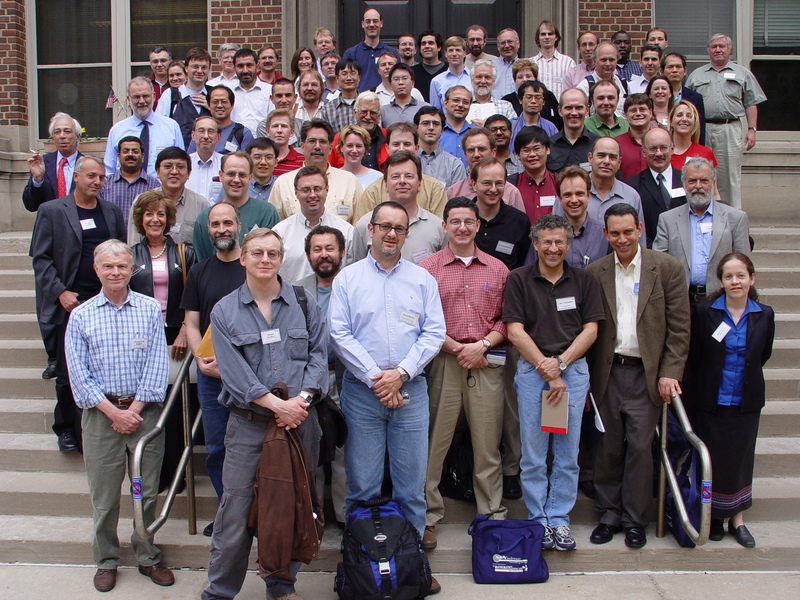 A profusion of such methods and concepts relevant to understanding them have been developed and explored: mixed finite element methods, mimetic finite differences, support operator methods, control volume methods, discrete differential forms, Whitney forms, conservative differencing, discrete Hodge operators, discrete Helmholtz decomposition, finite integration techniques, staggered grid and dual grid methods, etc. This workshop seeks to foster communication among the diverse groups of researchers designing, applying, and studying such methods as well as researchers involved in practical solution of large scale problems that may benefit from advancements in such discretizations; to help elucidate the relations between the different methods and concepts; and to generally advance our understanding in the area of compatible spatial discretization methods for PDE. Identification of intrinsic properties of PDE models that are critical for the fidelity of numerical simulations. Identification and design of compatible spatial discretizations of PDEs, their classification, analysis, and relations. Impact of compatible spatial discretizations upon physical fidelity, verification and validation of simulations, especially in large-scale, multiphysics settings. How solvers address the demands placed upon them by compatible spatial discretizations. Peter Arbenz Institut für Wissenschaftliches Rechnen Zentrum für Umfragen, Methoden und Analysen (ZUMA) e.V. Franco Brezzi I. A. N. del C. N. R.
Ralf Hiptmair Seminar of Applied Mathematics Zentrum für Umfragen, Methoden und Analysen (ZUMA) e.V.